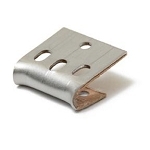 8 Gauge - 26" No-Sag Seat Spring is a high tensile strength wire spring perfectly tempered and can be cut with bolt cutters if needed to be shortened. 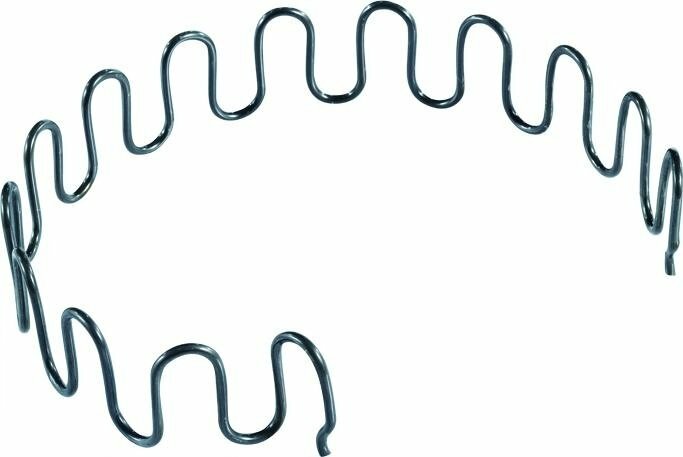 Sinuous springs, also known as sagless or zig-zag, are the most common low profile springs. Although the shape might lead you to think otherwise, they do depend on compression for the spring effect. A solid and sturdy frame is required to bear the stresses, from the front to back rail and top to bottom rail pull of these springs (occasionally reinforcing is required). Mount the springs with the open ends alternating left and right to get facing loops for joining with connecting links. There are a variety of clips available for mounting springs as well as edgewires, plus tools for shaping and stretching sinuous springs. They are installed quickly and give uniform contour and feel across the installation. Maximum resiliency is obtained when a convex spring arc height is between 2 and 2 1/4 inches. This is the 'rise' of the spring over the frame mounting point. If you wish to add height to an existing spring, use a hinge link at the back of the frame. Description: 8 Gauge x 24" in length.